My Craft Room is My Happy Place. There is a challenge going on over at Nichole Heady’s blog, Make it Monday #163: Envelope Wraps. 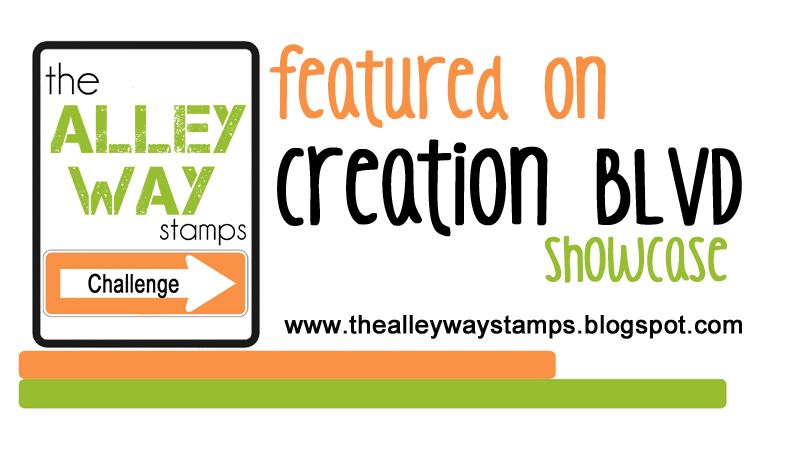 I love Papertrey Ink products and I wanted to play along for a chance to win a $25 gift card! Here is the back of the envelope. I die cut some clouds from sticky notes and used them to make the areas that I wanted to keep white. Then I sponged on some light blue ink to create the sky. 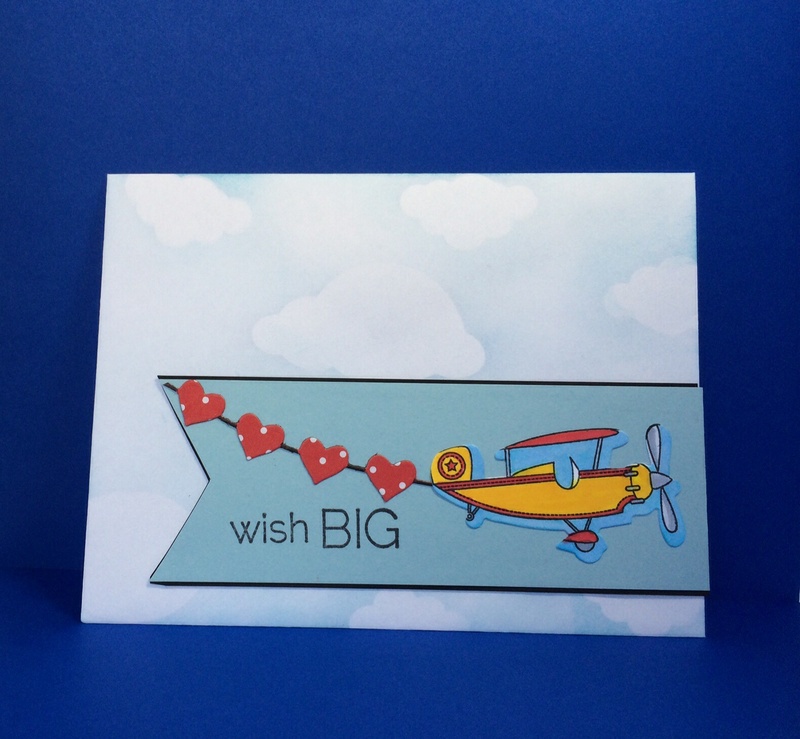 For the front of my card I used my Fly Away Mini Stamp Set and the coordinating Fly Away Die to stamp and cut out the plane. 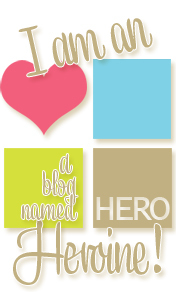 For the heart banner I used the Simon Says String of Hearts die that I won in a blog hop a few weeks ago. I cut the banner out twice. Once on black paper and once on red polka dot paper. Then I simply cut the hearts away from the polka dot version and glued them on top of the black. 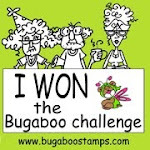 I will be entering my envelope into the Make it Monday #163: Envelope Wraps challenge. Posted in Any Occasion, Masculine Cards. Bookmark the permalink. Paper crafting is my Yoga. It takes my mind off any stress that I might have at the time. My daughter loves to get involved in my projects too and it is a great way to connect with her. Sixteen years ago I began scrapbooking but, my new true love is card making! 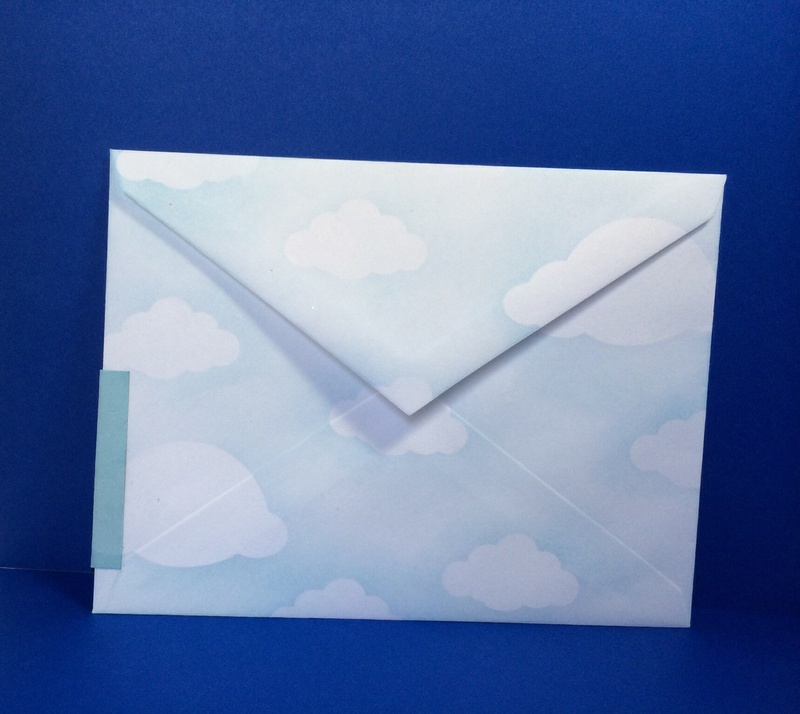 What a great card and I loved the idea of masking for the clouds. Thanks so much for sharing! Win or lose, you’ll have a wonderful time speaking with the helpful Retailers and maybe mingling with some new buddies. I love paper crafts and card making.